Manufacturer of a wide range of products which include custom printed vaccum bag, vacuum bags, flat vacuum bags, transparent vacuum bags and meat packaging vacuum bags. For the diverse requirements of our valued clients', we are engaged in offering a broad array of Custom Printed Vacuum Bag. This bag is manufactured in compliance with the industry standard using premium quality raw material by highly skilled professional as per the set quality standard. This bag is stringently tested on various parameters of quality to ensure their flawlessness. Mainly used for storing food products, we offer this bag in customized option as per the diversified needs of the clients'. Backed by the rich industry experience and knowledge, we are offering an excellent Vacuum Bags that are used for storing food powders, chemicals, grains, etc. These bags are designed and developed at our state-of-the-art manufacturing unit using high grade raw material sourced from reliable sources of the industry. These bags are available in various specifications as per the needs of the clients'. To deliver flawless range to the clients, these bags are tested on various predefined industrial norms. 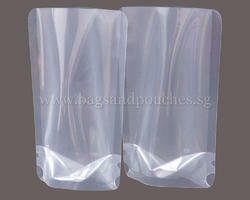 We are offering Flat Vacuum Bags to our clients. 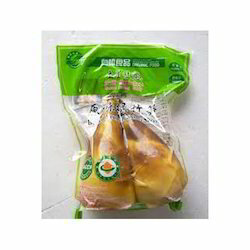 We are offering Meat Packaging Vacuum Bags to our clients.